I am very excited to partner with "mompreneur" Rachelle on this latest review & giveaway. 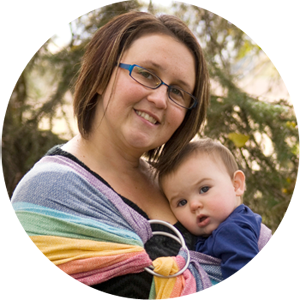 Based out of Maple Ridge, BC, this Canadian mama of three began Tender Tushies after she herself tried many different types of modern cloth diapers and finally found her "perfect" diaper! Her entire lineup of manufactured Tender Tushies diapers features a wide variety of pocket diapers--some which are similar to others I've seen before, and some that seem to be an all new creation! I was excited to give all these gorgeous products a whirl and let all of you lovely readers know just what I thought! I love the variety of diapers that Rachelle & Tender Tushies offers, because it likely means that every mama will be able to find a style and fashionable look that suits their baby best. Both the purple diaper and the polka dot diaper that she sent me boast a leakproof PUL outer shell (softer and more flexible than many I've felt by other brands! 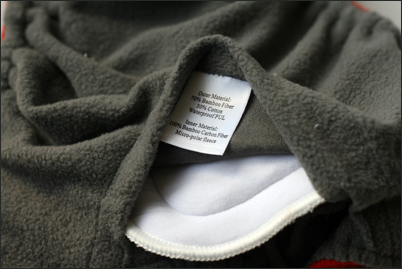 ), a supersoft microfleece inner, and a microfibre insert to slip into the pocket. The only real difference in these two diapers other than their print is that the print diapers are all available in rounded tabs whereas the solids are available with square tabs. Personally I'm almost always a square tab kind of girl as I find I always like the fit and stretch and reach a LITTLE bit better, and I like that the tabs always lay flat on a square tab diaper. Even the round tabs on the polka dot DID curl a little bit with how they fit on my daughter's tummy. 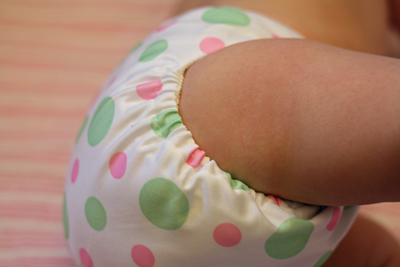 However, there is one MAJOR upside to these rounded tab diapers when compared to other round tabs I've tried before--they also have an extra hip snap like their square tab counterparts, as well as a crossover capacity on the tabs themselves. I've never seen these two features in a round tab diaper before! I love these extra snap options for a couple of reasons--firstly, of course they provides a better fit (the hip snap prevents wing droop and therefore leaks and blowouts; and, the crossover capabilities mean a perfect bit even when baby is at a bit of a strange size). Secondly, apart from this more obvious perk, I am also very particular with how I stuff and fold my pockets for putting them away in diaper bags & baskets, and having crossover tabs means I can fold and SNAP SHUT this round tab diaper as well, making it more compact and stackable in my stash. 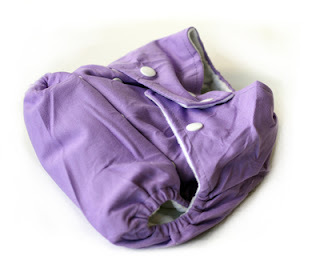 Typically, my round tab diapers are flopping all over the place in my basket, coming unraveled and having the inserts shift and bunch even before Baby has worn them! 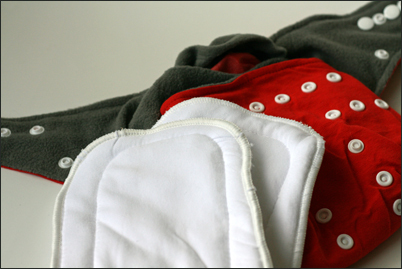 Aside from the waist and hip snaps on these diapers, they also are equipped with three sets of rise snaps to adjust for sizing (small, medium, or large). This is great and a money-saver as it means that one set of pocket diapers will take your baby from 8lbs all the way through to potty training, most likely! What mama doesn't want that?! The only downside to the snaps is that I did find they were ever so slightly harder to snap than on some of my other brands. I noticed this only on the PUL shelled diapers (I had to apply a little more oomph with my thumb to get the snap to really stick in properly). However, this never resulted in any major problem or headache for me. While these two aforementioned Tender Tushies diapers are quite similar & comparable to others I've tried before (similar to many Kawaiis & other Chinese-manufactured names), Tender Tushies also offers another type of pocket unlike any I've ever tried before. 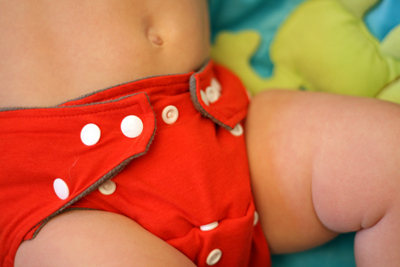 I'm absolutely ga-ga for this diaper: their bamboo pocket diaper! Outer Material: "70% Bamboo Fiber; 30% Cotton; Waterproof PUL"
Inner Material: "100% Bamboo Carbon Fiber; Micro-polar fleece"
Rachelle sent me this bamboo/cotton blend pocket in a cute punchy red color (also available in sky blue and soft green). Although slightly more expensive than the above-mentioned diapers (the bamboo is $12 whereas the PULs are in the $9-10 range), this diaper is SO worth it for a couple reasons. I've NEVER felt a pocket diaper as soft as this, inside & out! The outer shell is actually like a cotton jersey material--it honestly looks and feels like Baby is wearing a pair of underwear, not a sweaty, plasticy diaper! Because of this jersey material, it also has AMAZING stretch & flexibility--the square tabs easily pull and reach to wherever you'd like to snap them, providing not only a perfect fit, but also a super comfortable one. NOTHING digs in, and everything is fuzzy and tender (a namesake to the company name, perhaps!!). My favorite diaper in ages! Secondly, this diaper's inner lining is ingenious--other than being a bright white which may easily stain with messes, this microfleece lining (still fabulous at wicking and remaining super soft after washing) is a DARK GREY color. Not only is it fashionable and different looking, it is also so, so, so, so practical! Although none of these Tender Tushies diapers had any problems with stains, I would imagine that this diaper in particular would never be susceptible to stains of any sort, and I LOVE this! Lastly, this bamboo pocket diaper also comes with its own insert--a 5 layer, super absorbant insert with a uniquely soft, smooth surface of bamboo. This insert is super soft, super compact and trim, and has been abosolutely foolproof for me! This is honestly my favorite diaper that I've tried this year, and I plan to hopefully buy a bunch as gifts in the new year! 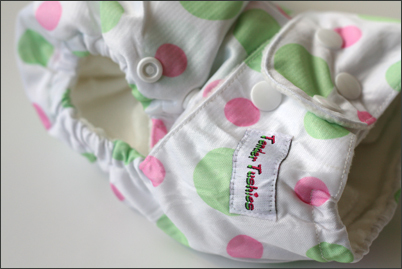 Head over to Tender Tushies right now and browse through all their cute diapers & accessories! 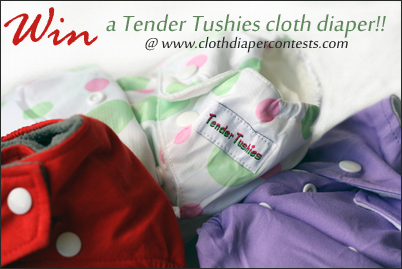 Tender Tushies is also offering one lucky winner one cloth diaper of your choice! Final details: I received financial compensation for administering this review & giveaway as well as receiving the sample item free of charge. All opinions shared are my own, and I was not persuaded to share anything other than my own honest thoughts. Other users may have different experiences with this product than what I have shared. This giveaway will end on November 30, 2011 at 11:59pm MST and is open to residents of Canada and the USA only. Winner will be chosen randomly using random.org’s services. The winner will be contacted by email and will have 48 hours to reply before a new winner is chosen. The prize will be supplied and mailed out to the winner by the sponsor of this giveaway. i'd love to try the black diaper. You have just voted for Cloth Diaper Contests & Giveaways! LOve to try the white, green polka dots.. or a start print.. I am not sure!! look lovely. voted for you on the fence! 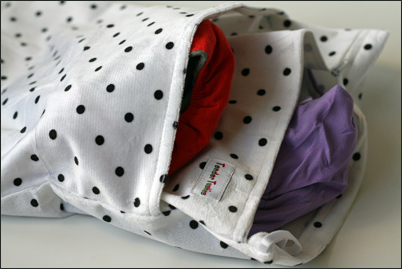 I love tender tushies' "Love" wetbag, that would be so cute to carry around! i like the psychedelic print diaper! 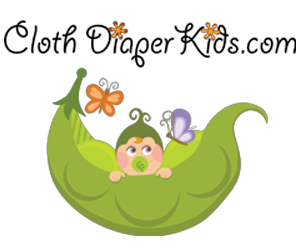 I would love to try the Bamboo Green diaper from Tender Tushies. I like the Green and Blue Soccer!! I liked CLoth Diaper Contests and Giveaways on Facebook. Checked out tender tushies, and definitely love the cheetah print. I would love to try out the Bamboo diaper and the wet bag! I like Cloth Diaper Contests & Giveaways. Liked and left a comment on Tender Tushies wall on facebook. love the giraffe and dark grey oh and black too! I like their Print Diaper in Green Dot. have a blog about this giveaway! I would like the Green Dot print diaper! 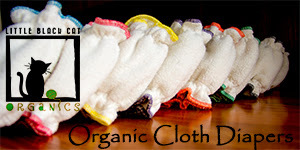 ‘Liked’ Cloth Diaper Contests & Giveaways on Facebook! I would like to try a bamboo diaper in any color. If I get to pick I think I'd go with blue. I love the Bamboo diapers. MF isn't a friend of our washer's. The green is different than other diapers I own. I'd love to try one of their bamboo diapers! I like Tender Tushies on Facebook and left them a comment! Voted on Picket Fence, 11/21. I want to try the bamboo green! I like Tender Tushies on FB as Olivia Lambert Lasting and left them a little thank you. I am a follower of your blog through Google Friend Connect! I would love to try their dark grey minky diaper! I like Tender Tushies (and thanked them) on FB under Kathryn Camille Stevens. I like CDC&G on FB under Kathryn Camille Stevens.